There’s nothing better than birthday cake — even when it’s not your birthday. But if you’re trying to get your nutrition game on point — or you already have and you don’t want to stray — eating a whole lotta cake is probably not a good idea. 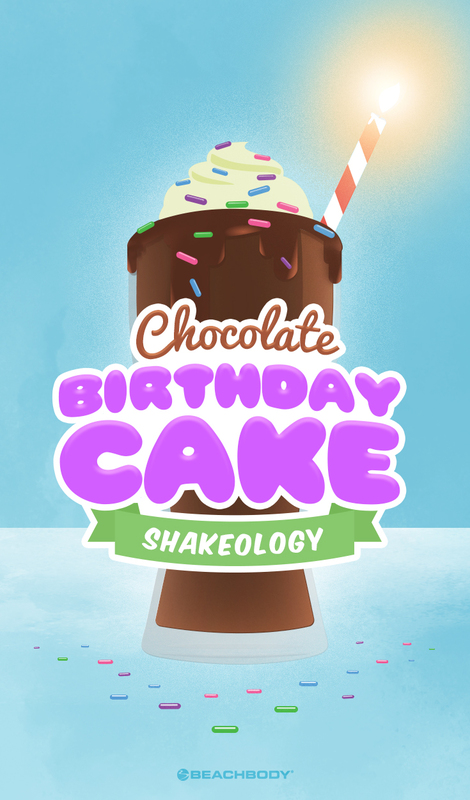 That’s where this delicious, delectable Chocolate Birthday Cake Shakeology comes in. It’s just like cake, but better for you! A scoop of Chocolate (or Chocolate Vegan) Shakeology + 6 other ingredients and you’ve got a slice of cake in a shaker cup. Place water, ice, Shakeology, figs, hazelnuts, cheese, and extract in blender; cover. Blend until smooth.